On 30-11-1957 Christ Spierings, while being 22 years old, started his own company alongside his job as landscape supplier. 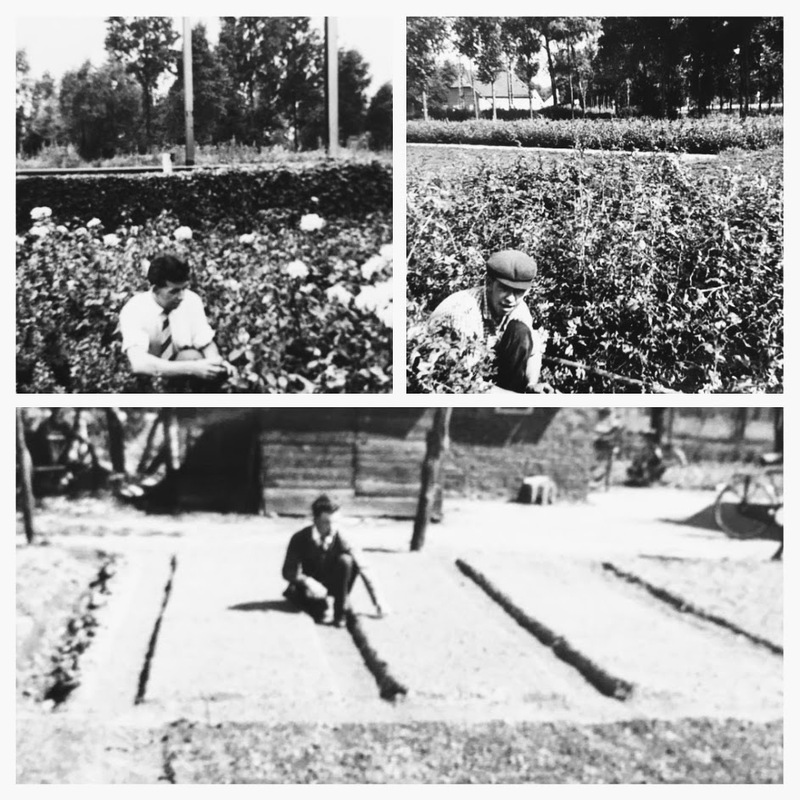 He planted cuttings of forest plantations and seeded and inoculated roses, he produced everything himself. Throughout the years he bought more land and began working fulltime for his own company. It was hard work, but Christ was a cultivator at heart and loved working outside. Around the year 1975 he bought a piece of land at the Mosselaarweg and built a barn, a greenhouse and after that a house where he and his wife Koos could expand the company. Conifers were grown in large sizes, potted and sold to the construction shops in Germany. 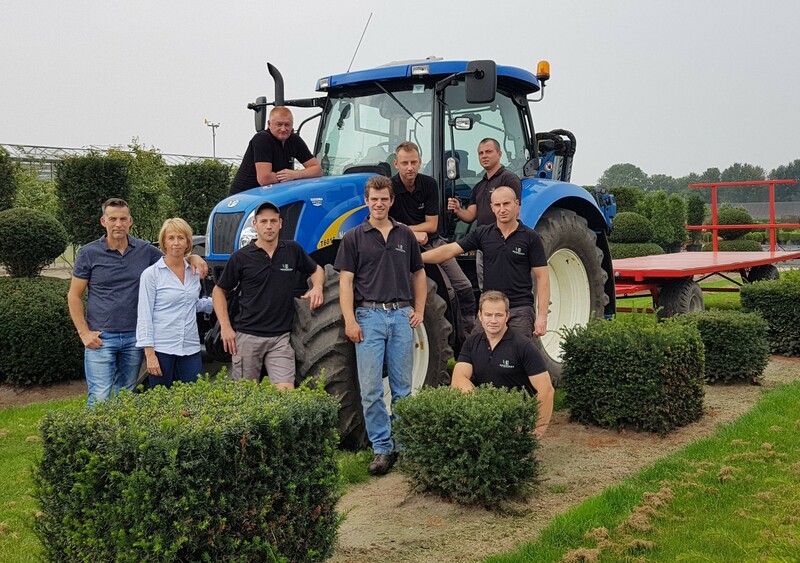 In the year 2000 his son Frans took over the business, together with his wife Hennie. Christ was delighted to see how the company continued and expanded. He still worked daily on the nursery such as taking cuttings and driving on the tractor, but especially making jokes with the truck drivers and customers who visited the company. In 2002 Frans and Hennie started an employment agency to reqruit employees and to train them on the nursery. The office was expanded and so the nursery. Throughout the years Frans took the guess to grow Taxus, but next to the Conifers because it wasn't sure if they were able to be sold. But this gradually went better as time passed. The Conifers were less grown and the Taxus replaced it in larger quantities and shapes. In 2009 a part to the barn was built with 2 loading docks, an office and a canteen. In 2010 both the nursery and the employment agency were expanded. With the size of such a company the sociability around the company went smaller and this was something Frans and Hennie missed. Nowadays a lot of rented land has been cancelled and everything is grown on own land of 20 hectares, with mainly the large sizes of Taxus, Prunus Rotundifolia, Lucitanica, Genolia, soorten Thuja and Hedera’s. There is more time now to chat with the customer, to make more conscious choices and to deliver a product with more quality.